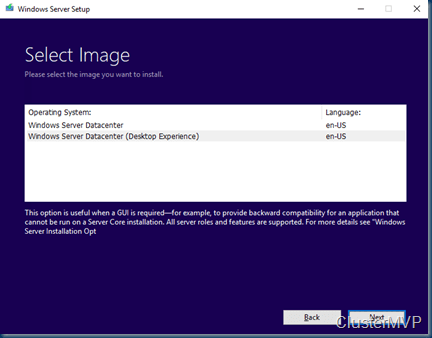 This blog post is the first of a series on Windows Server 2019. #MSIgnite is coming and there will be a lot of new features coming. 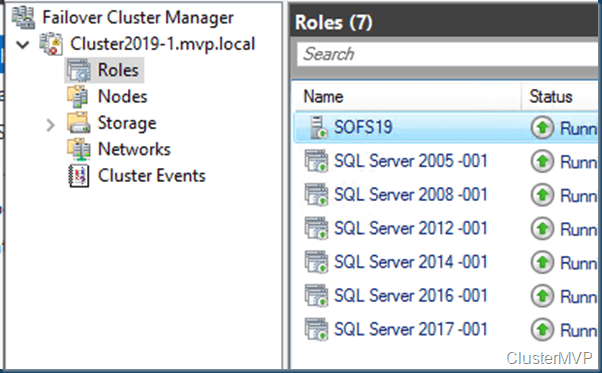 So in preparation I’ll show you what is changed and how to build things in Windows Server 2019. In this there is a upgrade and some new functions to the Cluster. 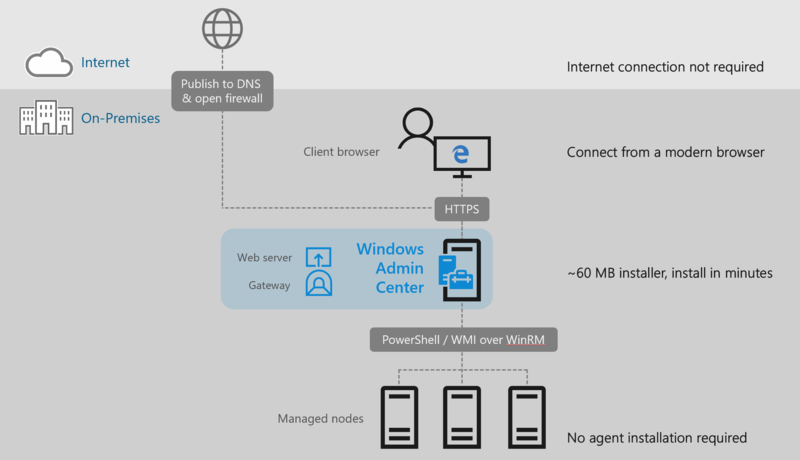 Hybrid: Windows Server 2019 and Windows Admin Center will make it easier for our customers to connect existing on-premises environments to Azure. 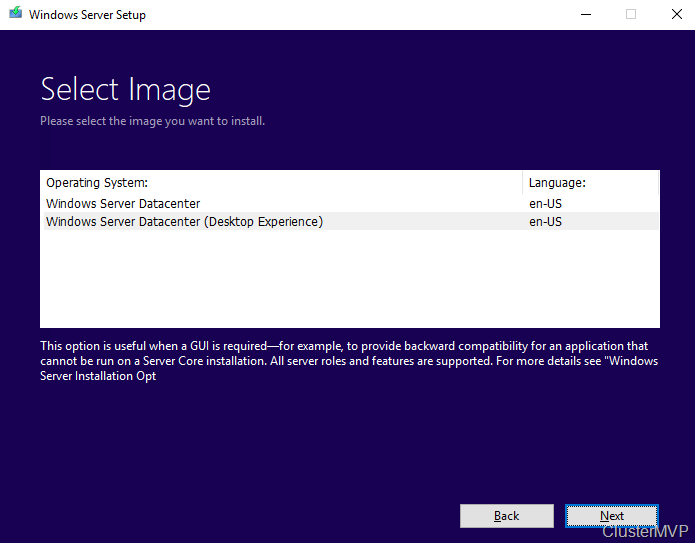 With Windows Admin Center it also easier for customers on Windows Server 2019 to use Azure services such as Azure Backup, Azure Site Recovery, and more services will be added over time. 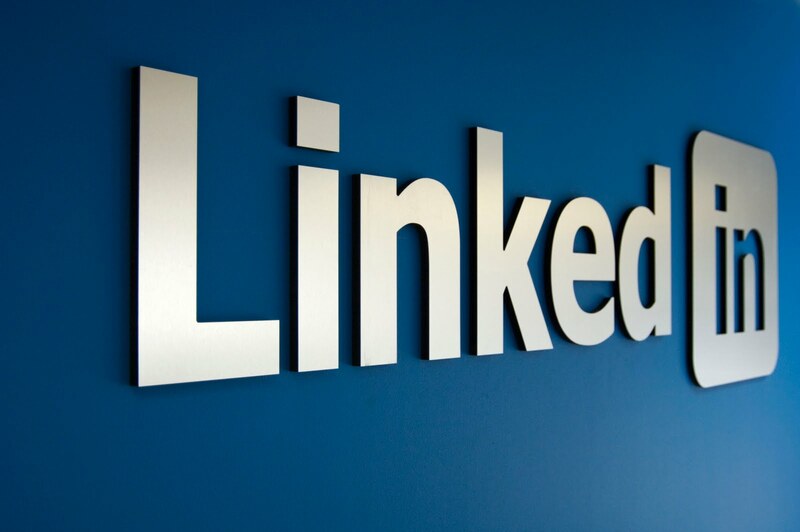 Security: Security continues to be a top priority for our customers and we are committed to helping our customers elevate their security posture. 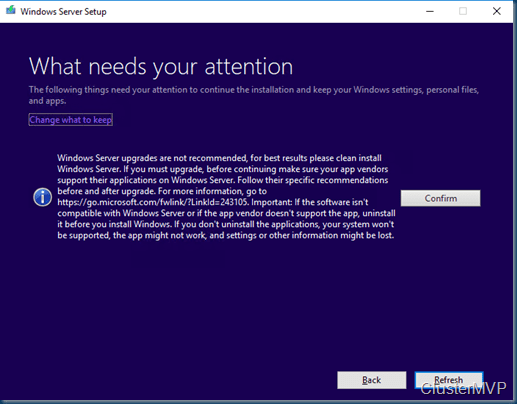 Windows Server 2016 started on this journey and Windows Server 2019 builds on that strong foundation, along with some shared security features with Windows 10, such as Defender ATP for server and Defender Exploit Guard. Application Platform: Containers are becoming popular as developers and operations teams realize the benefits of running in this new model. 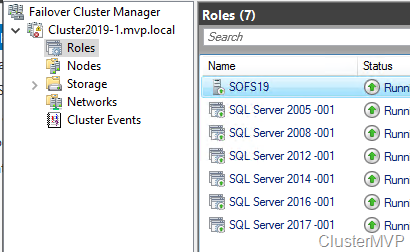 In addition to the work we did in Windows Server 2016, we have been busy with the Semi-Annual Channel releases and all that work culminates in Windows Server 2019. Examples of these include Linux containers on Windows, the work on the Windows Subsystem for Linux (WSL), and the smaller container images. Hyper-converged Infrastructure (HCI): If you are thinking about evolving your physical or host server infrastructure, you should consider HCI. This new deployment model allows you to consolidate compute, storage, and networking into the same nodes allowing you to reduce the infrastructure cost while still getting better performance, scalability, and reliability. 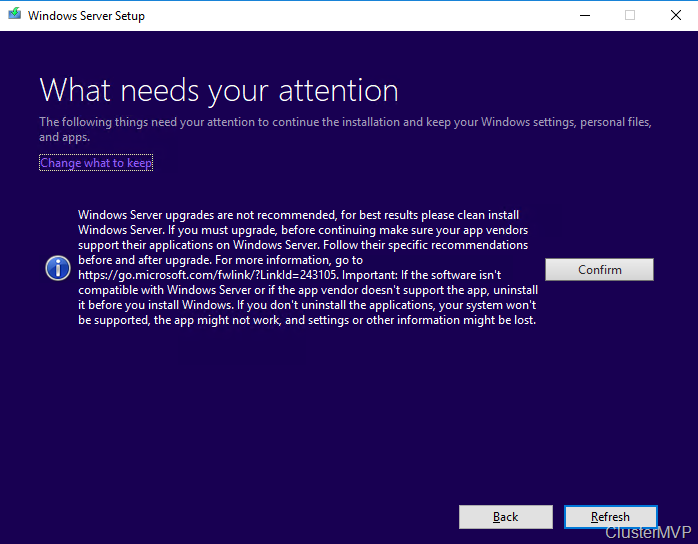 Installing the Windows Server 2019 is not different than 2016. 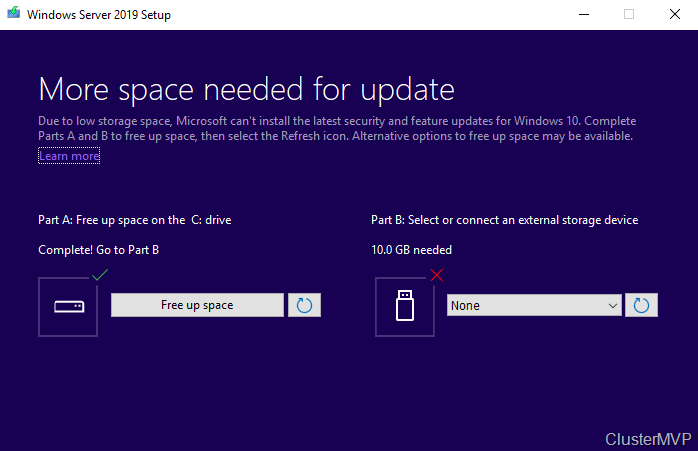 There is an extra disk space warning menu. 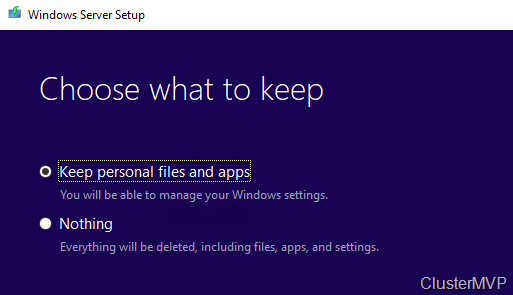 As an upgrade I want to keep my files. 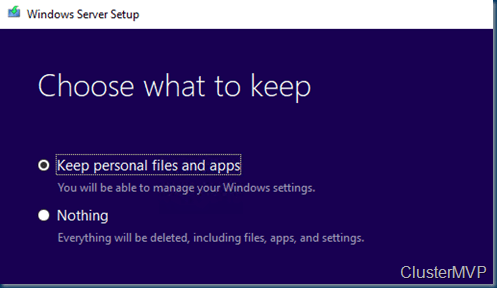 If you need to free up more disk space then there is a little warning. It may happen that the screen needs to refresh before you see the confirm option. The upgrade is starting depending on the server speed it will take some time. 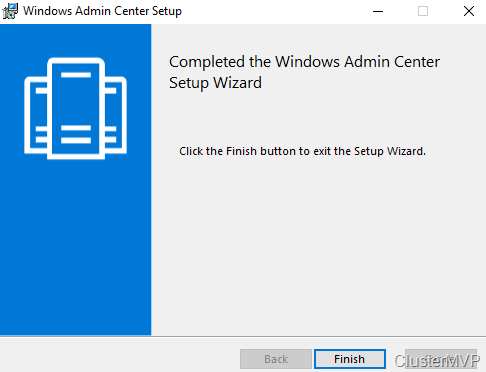 After the upgrade is done and the first logon the Server manager is starting and there is a popup of would you like to install Windows Admin Center. Now that the upgrade is done we can take a look at the Cluster Changes. First if we check the Cluster Functional Level with PowerShell. The other big change is the placement of your witness files. this can now be on a USB device. This means NO kerberos, NO domain controller, NO certificates, and NO Cluster Name Object needed, and NO account needed on the nodes. Simply plug your USB drive into the port in the router and get into your router’s interface. In there, you can set up your share name, username, and password for access. Use the PowerShell command above pointing it to the router and share, and you are good to go. To answer your next question, this works with SMB 2.0 and above. SMB 3.0 is not required for the witness type. 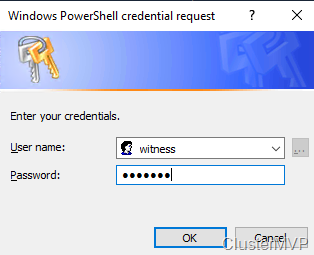 Next is setting the Witness, this can only be done with PowerShell. 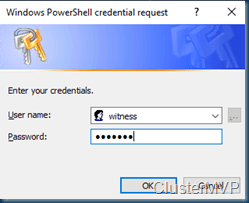 A credential popup, and type your account and password. After this check your cluster and you can see the Witness is set. When comparing the Storage space section there are some other options and more. Not all options are new some have a different value. 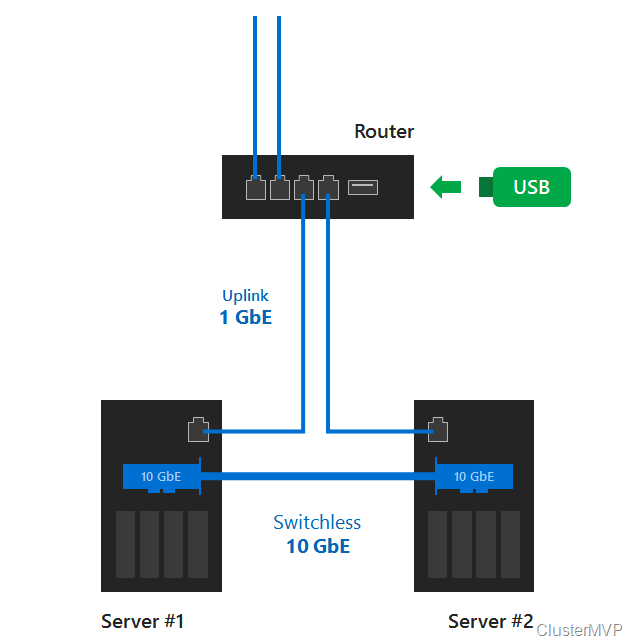 I created a blog post about this to add USB storage to build a SOFS with clustered storage spaces. 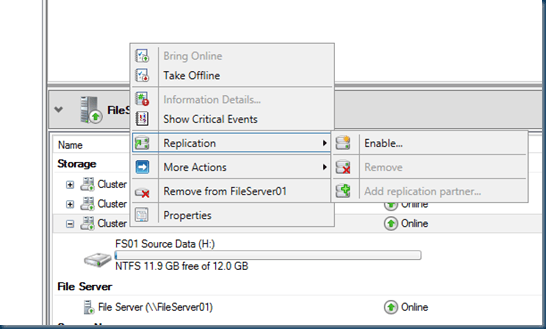 So enabling the options I start Building My Scaleout File Server with My USB thumbdrive Storage. 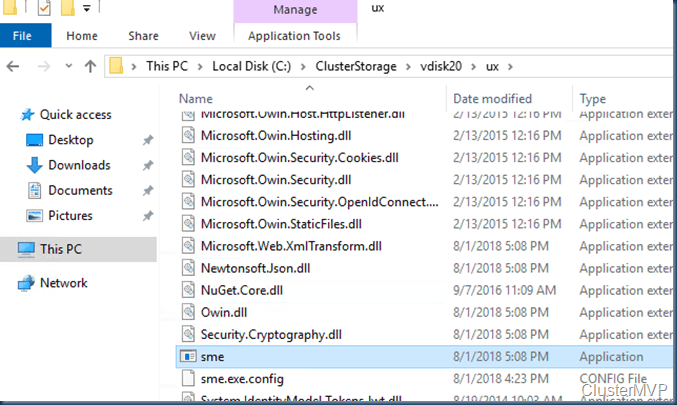 With a little help of this STORAGE_BUS_TYPE enumeration on MSDN we could do Fun things with some old disks. 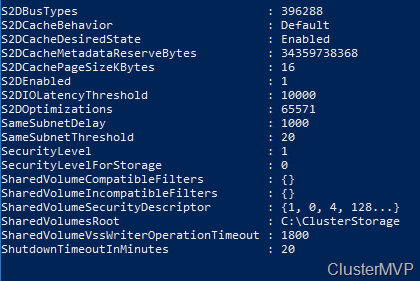 In server 2019 it has a value of 396288 which is the the number of the supported disk types for Storage spaces direct. Changing these values is not best practice and could brake your cluster. Or bring unstable situations. The new new tool Windows Admin Center is THE tool to use when managing your Environment you can install this on almost any server (no Domain Controller) but even this device needs a reboot from time to time. 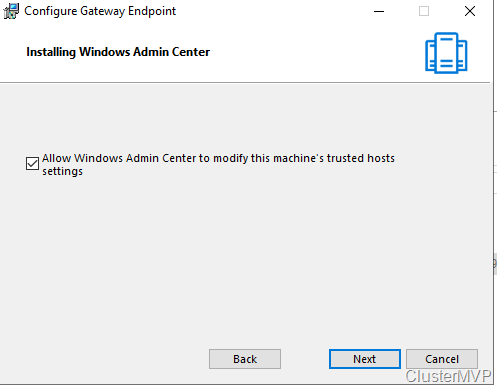 Therefor we make the Windows Admin Center High available. When installing this on a cluster the Tools gets better uptime. And is there when you need it. The resources that are used is minimal. Windows Admin Center is the modern evolution of "in-box" management tools, like Server Manager and MMC. 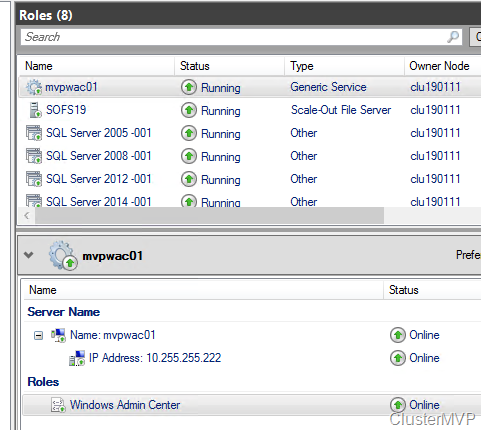 It complements System Center – it’s not a replacement. 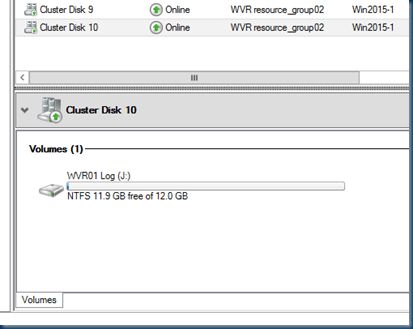 First we take our cluster, in this case my test cluster witch runs all kinds of load. 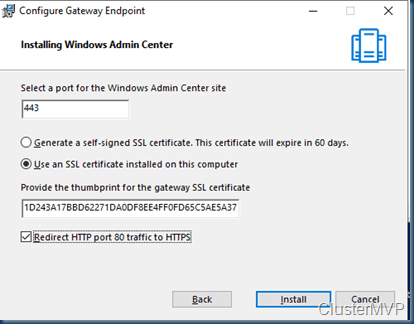 save this on the Cluster node, and remember you can’t run Windows Admin Center with IE – Internet Explorer! 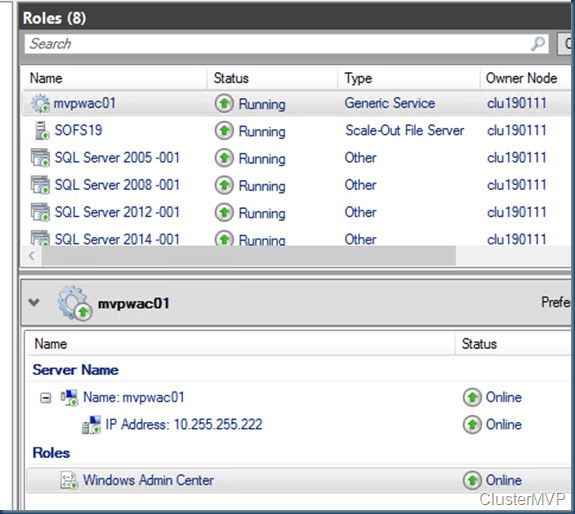 When checking this I saw the Cluster team create already a Powershell Script to make the WAC HA. so there goes my blog. Well You can run the PowerShell Scripts. But that’s no Fun. but I understand if you are busy and or you don’t want to know what is behind the script. Write-Output "Creating self signed certificate"
Don’t forget the trusted site checkbox. 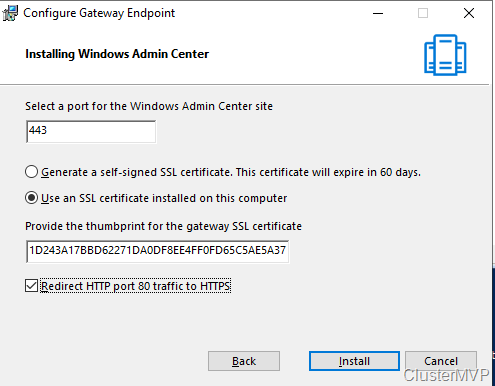 Here is the Thumbprint that is used in the Certificate , Next is installing the Windows Admin Center. 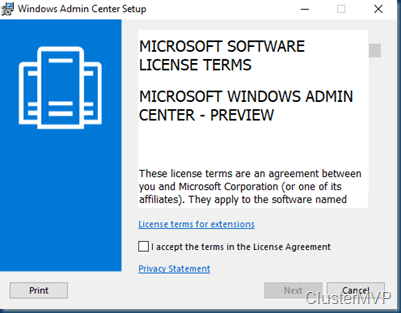 Now that Windows Admin Center is installed We are almost ready. Now that this is ready we need to think about the file location as this is currently on the C drive. And we don’t want to have two or more configurations. there for we place this on the CSV volume. When this is done we are adjusting the Services. 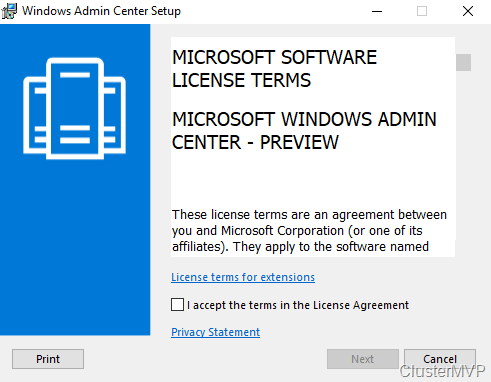 The Windows Admin Center HA values are there. 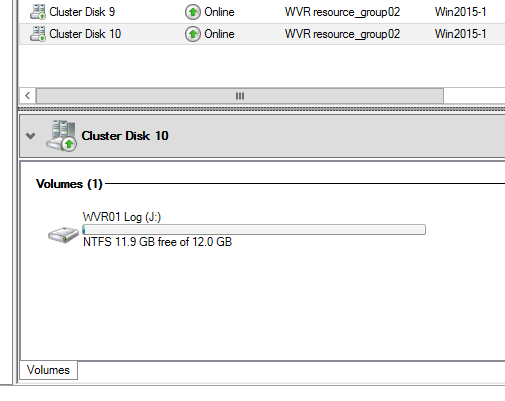 The last step on this cluster node is creating the cluster resource. 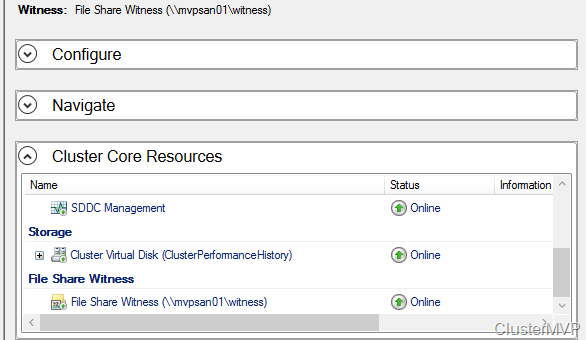 Remember the HA cluster resource does not need the HKLM:\ as in the other variables. 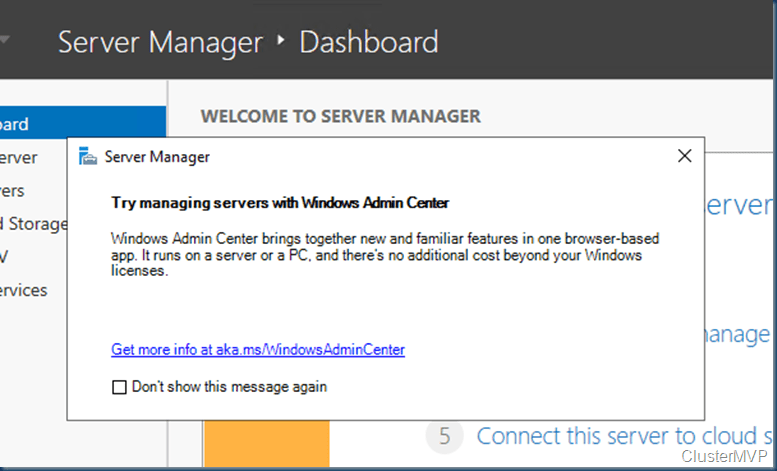 Now we have installed the Windows Admin Center in the Cluster. For all the other nodes in the cluster we need to do almost the same. Or we could export the Register keys and add them in the nodes as we already placed the files on the CSV and created a cluster resource. 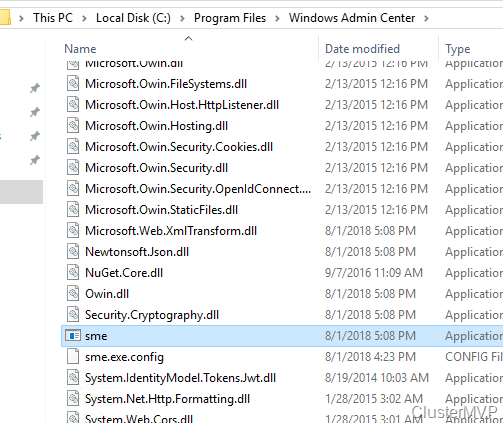 All the other nodes don’t have a Windows Admin Center services. Using the register keys is working but you will need a reboot. As we create first a fake services and then place the regkeys no reboot is needed. Or just import the register keys and do a reboot of the node. 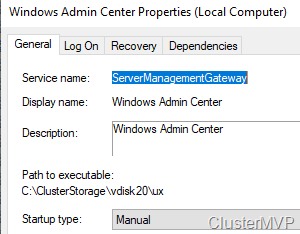 New-Service -Name ServerManagementGateway -DisplayName "Windows Admin Center" -BinaryPathName "C:\ClusterStorage\vdisk20\ux"
With this in place all nodes can run Windows admin center in HA mode, but it will not run on IE. and this is the only default browser on the server. To test if it is working you will need Edge or Chrome. 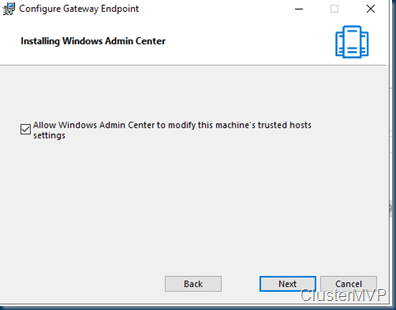 You can deploy Windows Admin Center in a failover cluster to provide high availability for your Windows Admin Center gateway service. 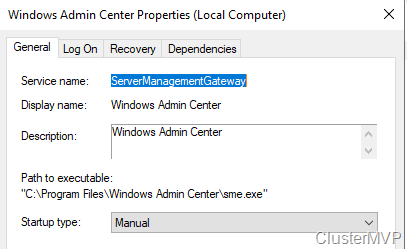 The solution provided is an active-passive solution, where only one instance of Windows Admin Center is active. If one of the nodes in the cluster fails, Windows Admin Center gracefully fails over to another node, letting you continue managing the servers in your environment seamlessly. 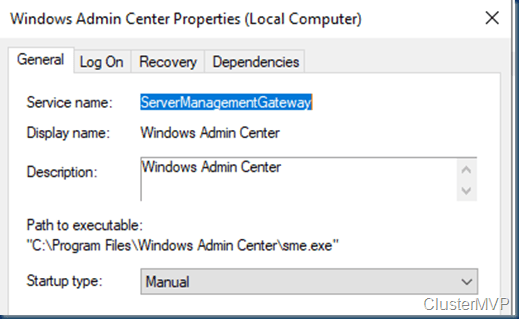 High-availability deployment scripts from Windows Admin Center HA Setup Scripts zip file. 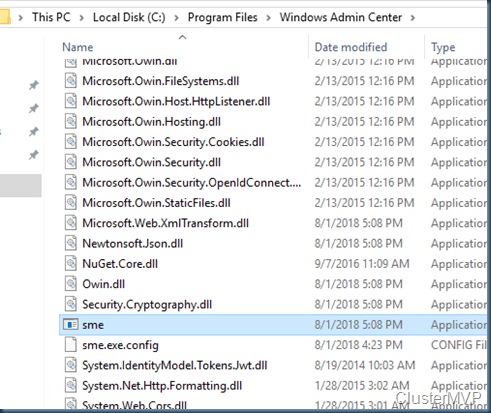 Download the .zip file containing these scripts to your local machine and then copy the scripts as needed. 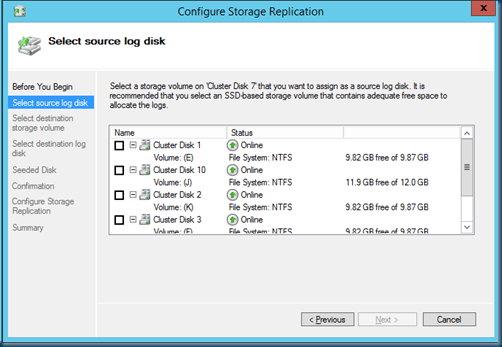 With the release of the Windows Server Technical Preview, a lot of new features are there as Storage Replica. In this post I take a look a this and see if it is working in the demo lab, My first impression is this needs planning and this is not that easy and how does this work. Well you need to play with this the get the feeling. 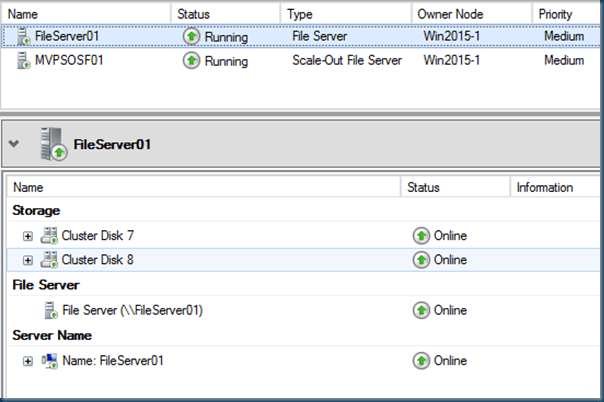 In this case I build a normal cluster just a set of disk with a file server on it and two nodes both running the Windows Server 10. You must create two volumes on each enclosure: one for data and one for logs. The two data volumes must be of identical size. The two log volumes should be of identical size. 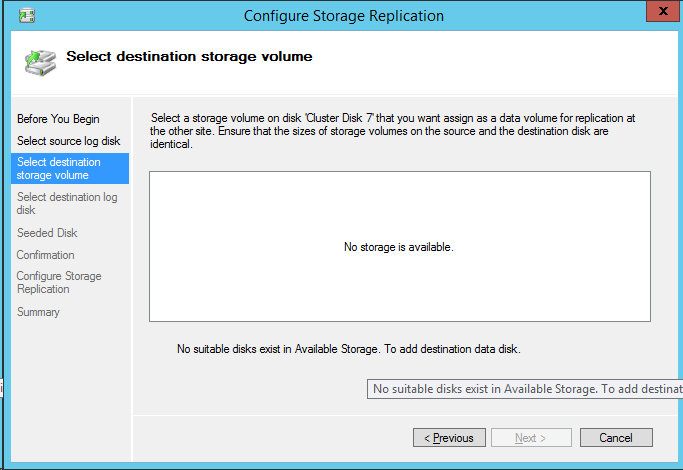 On a available disk the replication is grayed out. 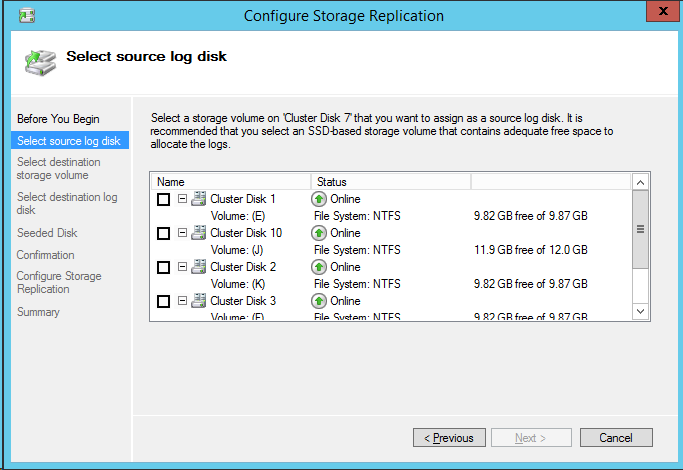 Added the Disk to a Cluster Role the Replication can be enabled. Currently the GUI is not the best method to test this. 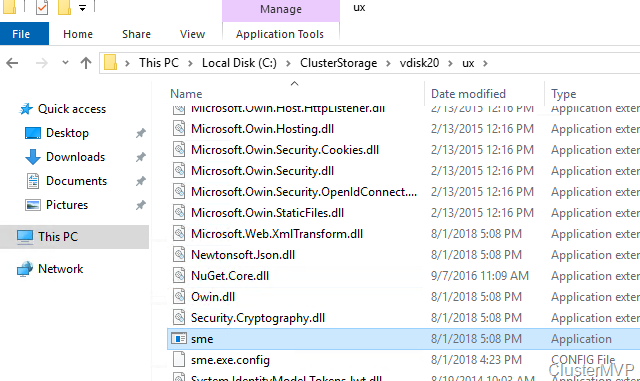 I use a cluster based on shared VHDX. 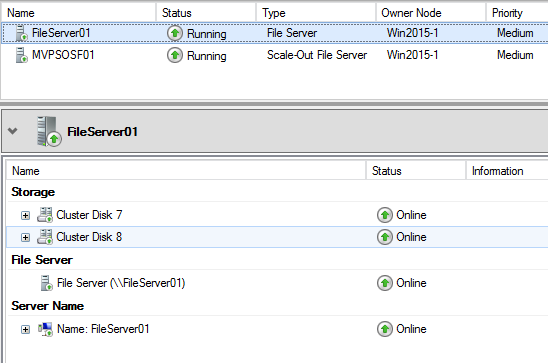 New-Cluster -Name Windowscl10 -Node win2015-1,win2015-2 -NoStorage -StaticAddress "10.255.255.21"
Now that the cluster is in place with the disk we can start and we create a new File server and add two disks to this File server Role. It does not need to be a scale-out file server. This can also be done in the GUI. but the destination disk is not selectable. and in PowerShell it is working. But you can also follow this guide in the GIU : a downloadable guide to provide you with step-by-step instructions for evaluating the Stretch Cluster and the Server-to-Server scenarios. These are both designed for Disaster Recovery and provide “over the river” synchronous metro replication. 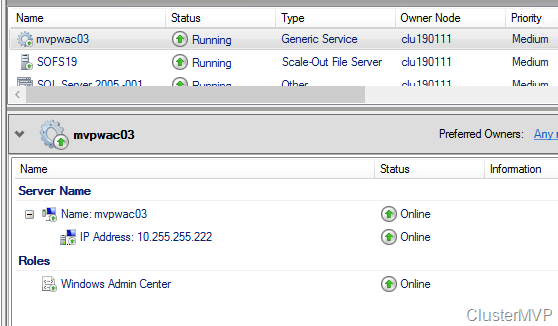 – log size in those two groups are different. 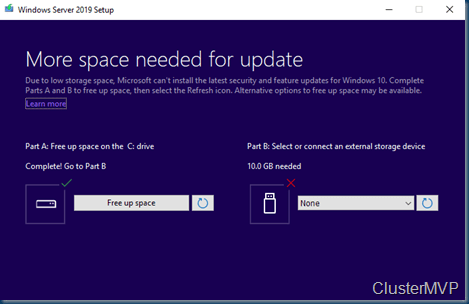 – data partition sizes are different in those two groups. 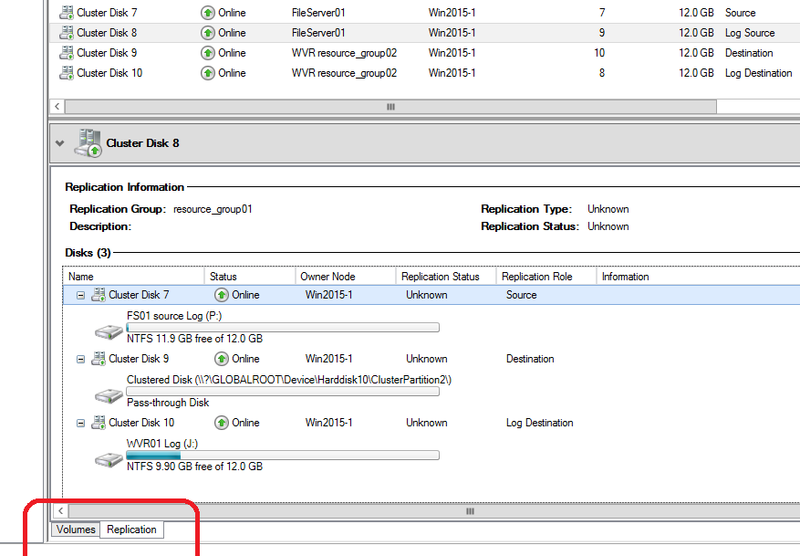 – data partition physical section size are different in those two groups. So keep in mind the Disk need to be GPT and the size must be the same. 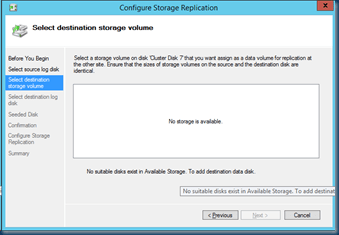 – data partition physical section size are different in those two groups.". 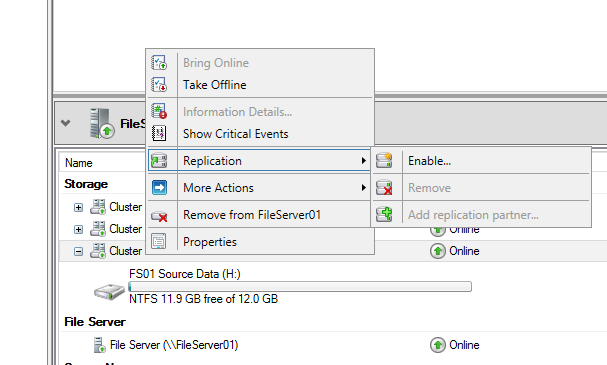 First create the new Replication Partnership. 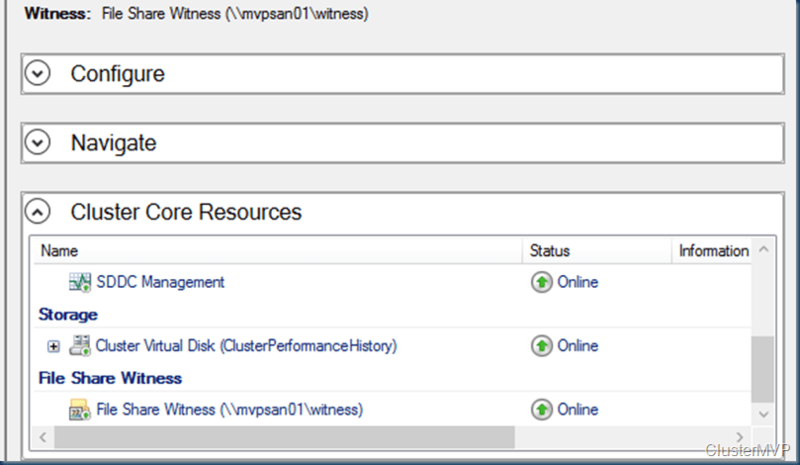 And I must say there is a lot of things going on in your cluster and disk when you do this. 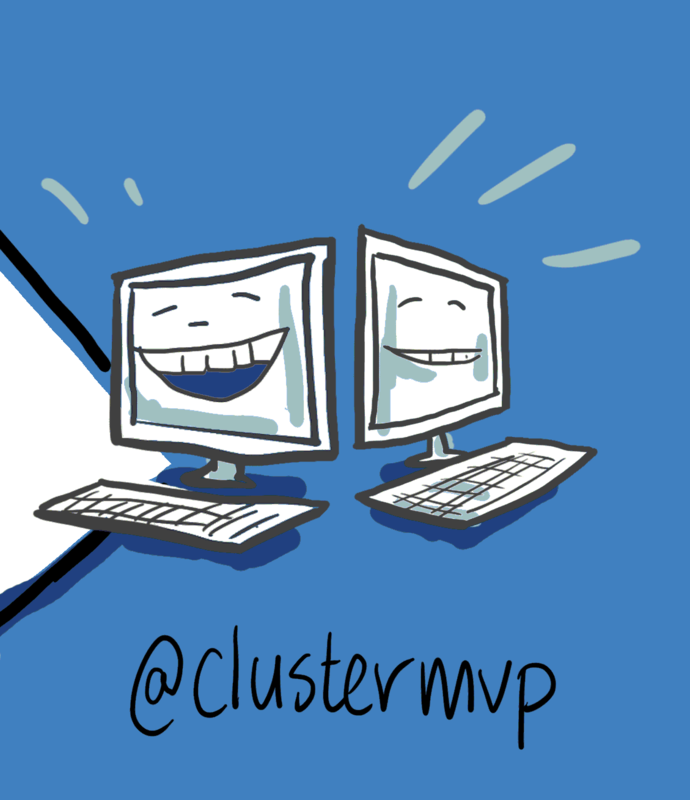 watch your cluster Failover manager! and select the Disk view ! But after this you got a working replication. 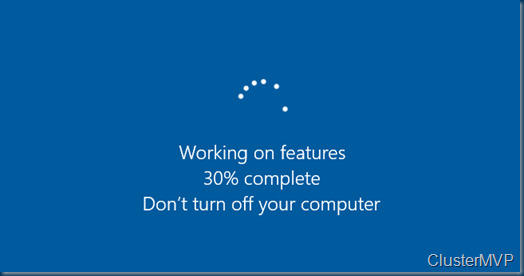 After the GUI restart you can see the replication. 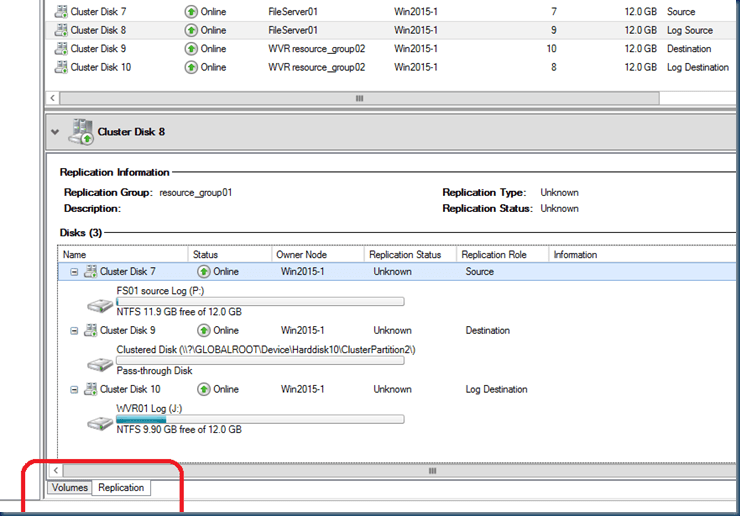 and as you can see the source resource is also in the destination resource. So in case of a failover the replica will also be briefly down. 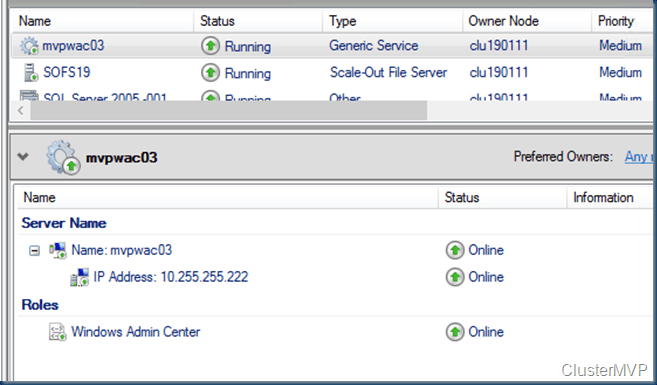 As you can see in the event log the replication is there and working. 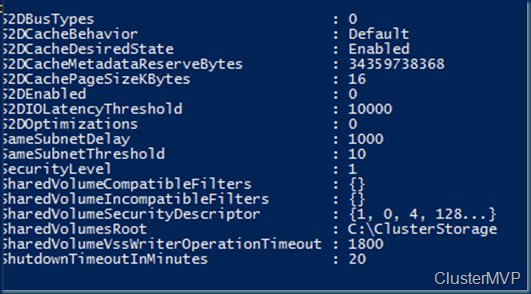 There are a few PowerShell commands to see if things are working. There is no info in the GUI as this is a Preview. This is a nice new playground and I can see the benefit of this.